Some of you might remember one of the first recipes we shared was our vegan mac ‘n’ cheese. It’s amazing to think that was almost 16 months ago! 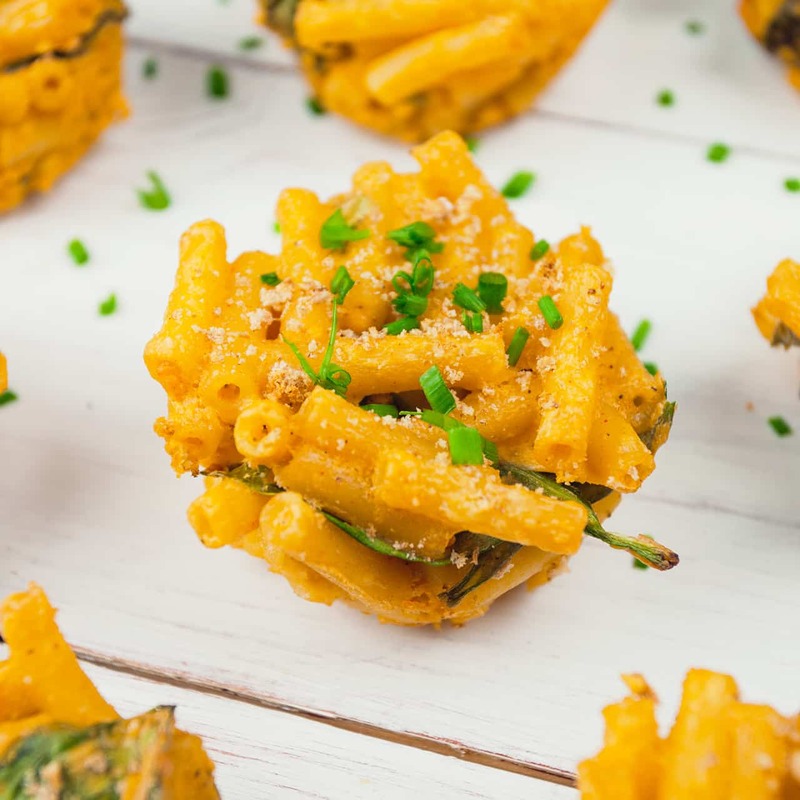 Well that original mac ‘n’ cheese recipe has been a staple in our household ever since, and we recently decided it was about time we gave it a fun new twist. 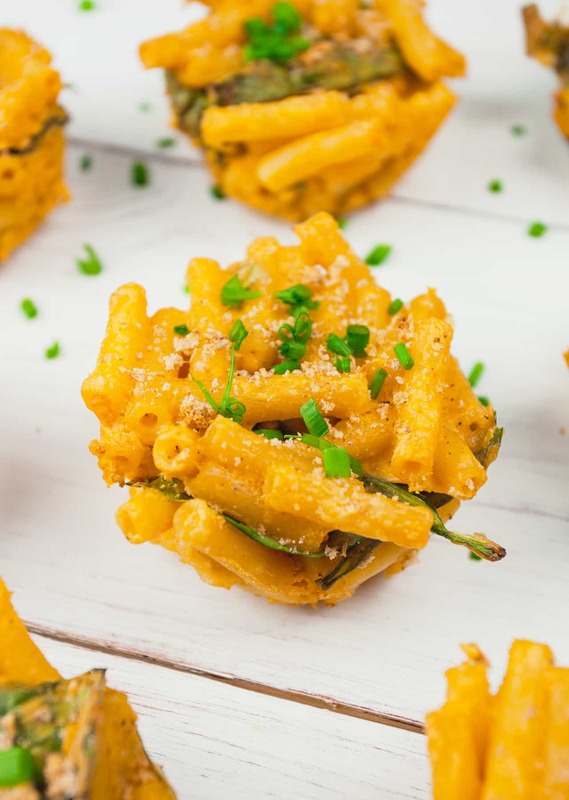 We’ve added more ingredients to the sauce to give it a tasty kick and we chose to bake the macaroni in muffin moulds to create these awesome ‘bites’, which are perfect for dinner parties or taking to work for a snack. If you love to experiment, we recommended trying different types of pasta to see how the bites turn out. We’ve also tried with mini conchiglie pasta, which turned out great. Also, don’t forget to always check the label when you buy mustard from supermarkets. You can also use Dijon mustard, but some will use cheap white wine which might not be vegan. Preheat the oven to 200°C and lightly grease the muffin tray. Soak the cashews in hot water for 30 minutes. Cook the macaroni as per packet instructions. Meanwhile, add the “cheese” ingredients to a blender and blend together until smooth, then transfer to a mixing bowl with the spinach. Drain the pasta and transfer the cooked macaroni to the mixing bowl. Mix the pasta with the cheese sauce and the spinach until evenly coated. Spoon the mac ‘n’ cheese mixture evenly into the muffin moulds. Once each mould is full, press down with the back of a spoon to compact the mixture. Then, sprinkle the breadcrumbs on the top of the bites. Transfer muffin tray to the oven and bake for 10 - 12 minutes or until the edges are golden brown. Remove bites from the oven and leave to cool for 5 minutes. To remove bites from the muffin moulds, run a tablespoon around the edges and use the spoon to lift the bites out from the moulds. Sprinkle with chopped chives to serve. You will also need a 12-up muffin tray.